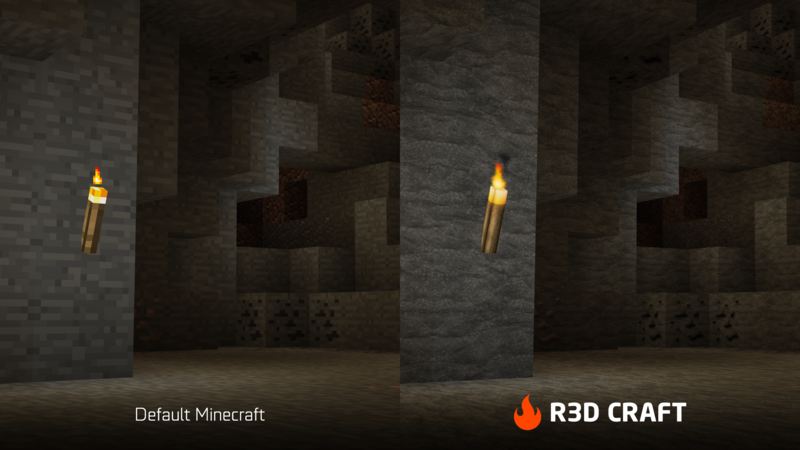 Check out r3dcraft.net and follow me on Facebook, Twitter and YouTube! This project is currently set on hold. I am for the time being a full time student, studying for my masters degree in applied computer science, which completes in 2020. When I am not studying, I am most likely working. Thanks to everyone for the support and understanding! 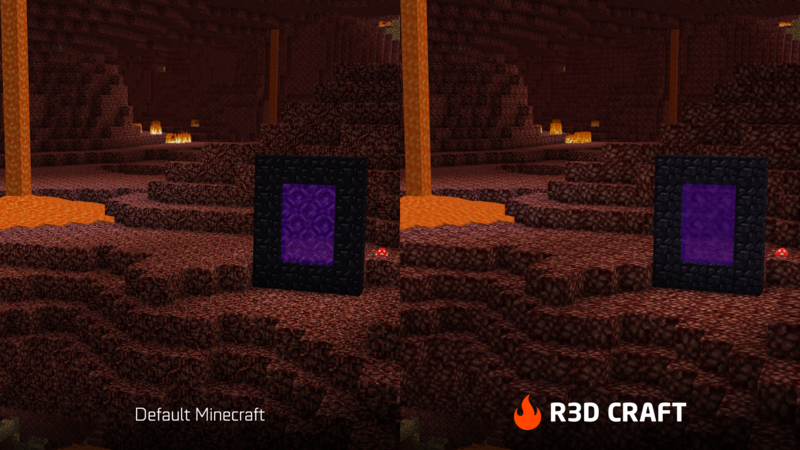 R3D CRAFT 32x32 on Curse! R3D CRAFT 64x64 on Curse! R3D CRAFT 128x128 on Curse! R3D CRAFT 256x256 on Curse! R3D CRAFT 512x512 on Curse! 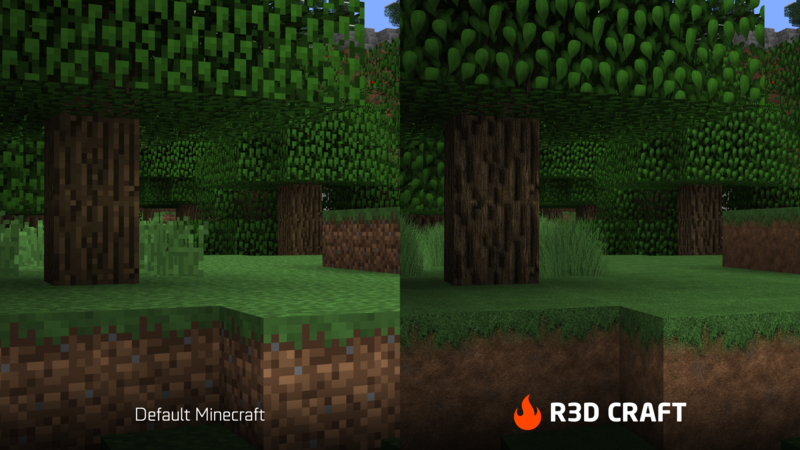 R3D CRAFT Shader Support 32x32 on Curse! R3D CRAFT Shader Support 64x64 on Curse! 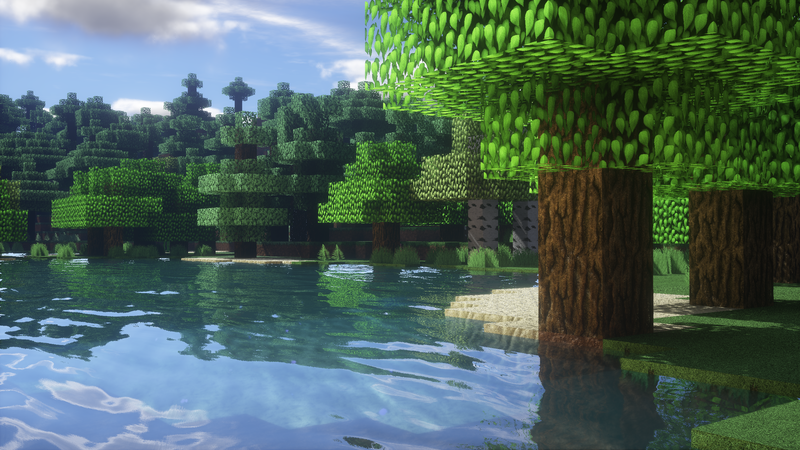 R3D CRAFT Shader Support 128x128 on Curse! 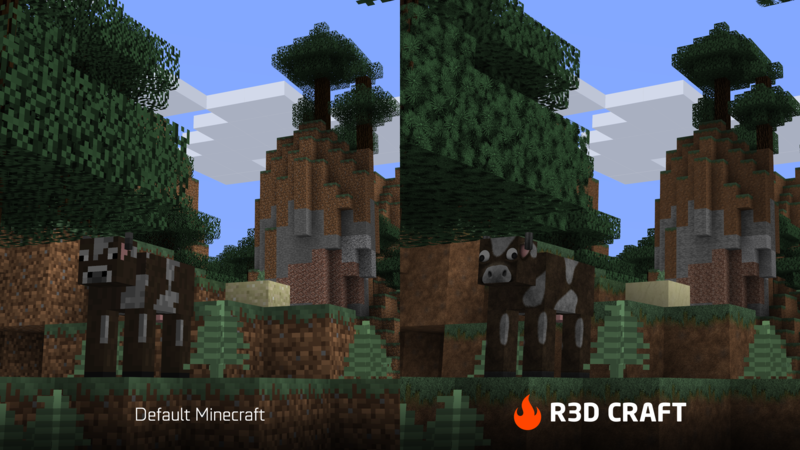 R3D CRAFT Shader Support 256x256 on Curse! R3D CRAFT Shader Support 512x512 on Curse! Default Realism 32x32 on Curse! Default Realism 64x64 on Curse! Default Realism 128x128 on Curse! Default Realism 256x256 on Curse! Default Realism 512x512 on Curse! Tired of annoying ads? Try Curse Client. Curse Client is an add-on manager that allows you to browse, install, and update your Minecraft texture packs, mods or world-saves. Stay in sync with R3D CRAFTs newest updates with Curse Client. so. You are not breaking any rules, any copyright guidelines or upsetting anyone. Since the Minecraft client now allows you to add more than one texture pack to the resource pack panel, you can simply create an addon. Make people download both your addon and this resource pack. After your users have downloaded your resource pack addon, direct them here so they can download this base resource pack which your resource pack adds upon. If you feel like that above is silly and you want to include R3D CRAFT textures with yours in one single package and publish that, we would have a problem. The moderators on this site and other sites do not look happily on duplicates and your thread will most likely be put down. Also, keep in mind that it's not right (and if you ask me, disrespectful) to upload someone else work without their consent. Click here for more Wallpapers and Screenshots. Go to r3dcraft.net for more. Go to r3dcraft.net for more FAQ. To all of you who have followed this project for a while; Gamers, Content-creators, YouTubers, Modders and so on. I would like to thank you guys especially. Your patience is both questionable and admirable. Maybe you guys don't know, but you are essentially the pillar that holds this project up. Without you, R3D CRAFT would not have been where it is today. Thank you. Thank you for your support. Write comments, feedback and/or suggestions to me on this forum. I think this is the third or the fourth of the same type of texture packs. Edit after 55 pages: WOO, FIRST! After seeing the progress on this pack, this has become great. On the chest, it looks like you overlaid a tranlucent piece of wood on top of the default texture with some grain. Also, there are lots of other packs that do similiar things. Like vanilla hd. So, this isn't that special, but has a lot of potential if you were to put a unique touch on it. I really like this..........Don't listen to anyone else.....THIS IS EPIC! I thought he did something like that for all of the texture's. I really like texture packs like these, they still look like default Minecraft but they add so much more texture to it (No pun intended ). I can't wait to see more ;). hey man this texture preview looks amazing dont listen to the ppl above, the vanilla hd texture pack crumbles next to this one. You know why Im loving this? it has that leathery hd sackboy type feel. 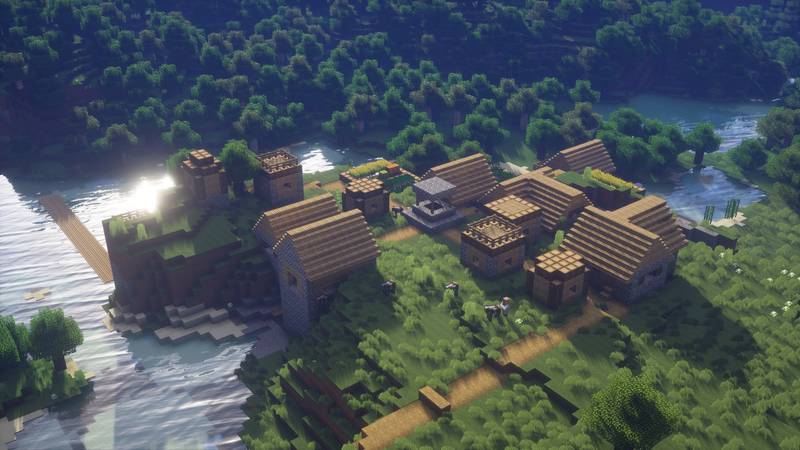 it doesnt make me think too much of the og minecraft texture. this is more than you doing overlays this is some real artwork youve created. feel free to use this or put as alternate banner or dont worry but i made this to support your mod more, i hope you are working on it. if you have another idea for a banner i can help! I really want this texture pack, help? Vocês fazem ótimos videos , mais essa texture na MINHA opinião : não achei a bonita . Yeah. I've come to a understanding that others have done this before, which doesn't really shock me. 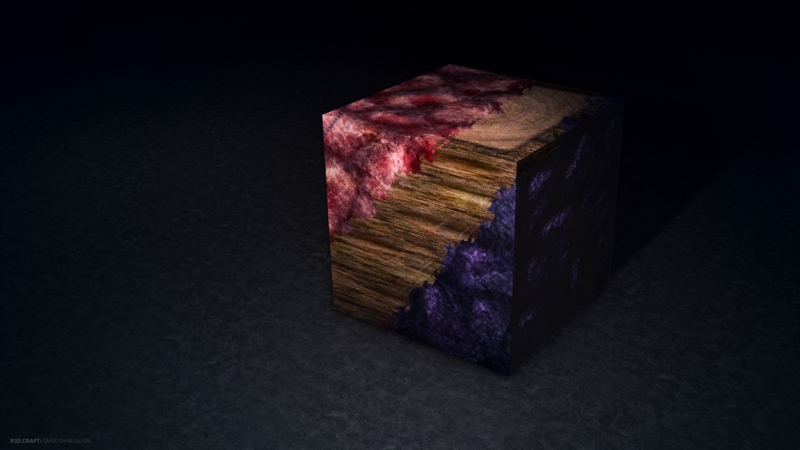 Also, I do more than just overlaying a texture, or I want at least. At the cobblestone, for example, I'v e made it pop out more and hopefully more stone-like by adding small effects/shadows/other to it. Also, what you see here is probably not the finished touch. The file you've downloaded is just a png-file. You have to drag it into your minecraft.jar. Remember to take a copy of your minecraft.jar! I actually like this Looking forward to see the full pack! Great mix between pixel and realistic image. This idea's been done to death. I have seen quite of few of these BUT THIS ONE IS THE BEST I'VE EVER SEEN!